Wondering how an iiNet Business internet service can help your company? Take it straight from our customers with this case study of how iiNet Fibre400 is performing at Omniveta Finance. “For the price, I just don’t think you can beat Fibre400. 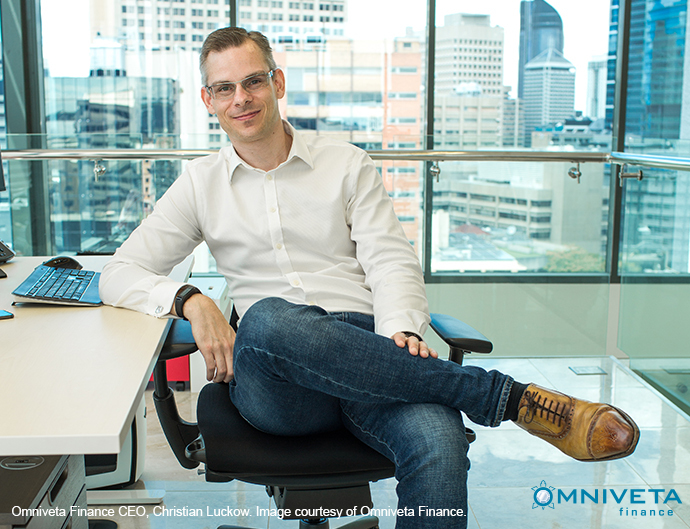 Compared to what fibre connections usually cost, it’s a bit of a no brainer to me to be honest,” says Omniveta Finance CEO, Christian Luckow. Omniveta chose iiNet Business’ lightning fast, symmetrical Fibre400 plan for their business because they were looking for a replacement for their Brisbane head office’s ADSL broadband connection. This connection wasn’t meeting their business requirements – either for speed or reliability. Omniveta have their own proprietary, internally hosted applications, used by both staff in Australia and Scandinavia, which is crucial for running the business. On Omniveta’s old ADSL connection, Christian says staff found it very difficult when trying to use these applications from a remote office. “Our phone connection was pretty dodgy, and so our ADSL was just never satisfactory for the work our staff do,” says Christian. iiNet Business installed Fibre400 at Omniveta’s Brisbane office, giving them a drastic upgrade in both speed and reliability at a cost-effective price. Apart from the speed and reliability of Fibre400, Christian says iiNet Business’ dedicated business specialists also helped make the whole transition easy and hassle-free. “Our experience with iiNet Business has been very professional and not stressful, which is kind of new dealing with a telco provider to be honest. To find out more about Fibre400 and how it can help your business work both smarter and faster, visit www.iinet.net.au/business or call our specialist Business Team on 1300 681 828. Omniveta Finance is a financial services company that provides cash flow solutions tailored by industry. With its roots in Scandinavia and offices in both Brisbane and Sydney, Omniveta has built an international reputation for being a trusted business partner committed to simplicity and transparency. “We basically provide an option for suppliers of primarily large companies to get paid earlier. That speeds up their cash flow, which is good news for a lot of small businesses,” says Christian. Specialising in the construction industry, Omniveta offer a range of services including cash on acceptance, invoice factoring and administration support. Omniveta’s system means small businesses can receive up to 97% of their invoice amount within 24 hours – taking the hassle and stress out of their business. Business comes out on top 5 years running!